The Quilting Bug is a professional long arm machine quilting service located near the Werribee Plaza, Hoppers Crossing. This is where you choose a pattern that is continuously repeated (and sewn) across the quilt (i.e. edge to edge). Custom quilting requires different patterns/blocks quilted into different parts of the quilt, to accent/highlight the quilt top. 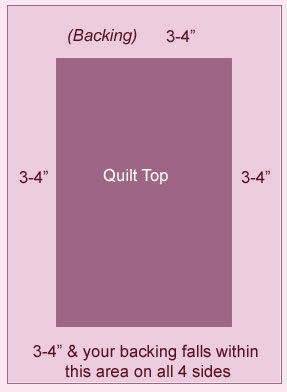 There are three types of pricing for Custom Quilting. Light Custom is simply light stitching - usually consist of edge to edge (maybe within a frame) and further border work. Custom quilting would typically require stitch in the ditch, with patterns within those blocks, and also usually includes stitching the borders separately. Heirloom quilting is similar to Custom, however, far more detail is required, usually whereby lots of stippling/feathers etc is needed. Stitch in the Ditch quilting is where the stitch is placed close to the seam of the quilt blocks. With machine basting, large tacking stitches are run across the quilt in parallel lines, 3 inches apart for stabilising. Machine basting ensures your quilt is properly stabilised. It is ideal for those who wish to hand quilt or machine quilt themselves. The Quilting Bug uses a program called the Pattern Viewer Manager. It displays a huge range of patterns that you can choose for your quilt. The Quilting Bug literally has hundreds of patterns! It's a lot of fun choosing - and the possibilities are endless! This is a really important part of the quilting process. If your quilt is prepared correctly, it will be much easier to load onto the quilting frame and of course, much easier to quilt. This will give you the best possible end result. Here are some tips that may help you. Did you know... backing fabrics off wide rolls are best “torn” so that the grain of the fabric will be straight when loaded on the machine. If possible, choose a backing fabric that has similar colour tones to the quilt top. This allows for same or similar coloured thread to be used on both the top and the bottom of the quilt – a much better looking end result. Your backing fabric and batting needs to be roughly 3-4" larger on all sides of the quilt top!! Please ensure your backing fabric is square. Pieced Backs: For pieced backings make sure the pieces are perfectly square before joining. Having your pieced quilt backing evenly placed can’t be guaranteed. Please give your quilt top and back a really good press to ensure no tucks in the blocks and a more even finish. Fullness and puckers pieced into the quilt top cannot be quilted out.. On many occasions, it is the process of quilting that shows up the problems in the construction of the quilt. The use of sheeting as a backing fabric is not recommended as the weave may be too dense to allow even needle penetration. Always check for missed or frayed seams and repair them before you bring the quilt top in for quilting. It is difficult to ‘mend’ seams after the quilting has been completed.